The standard (retail or digital) versions of the game only allow you to play one campaign (Birthright/Hoshido or Conquest/Nohr). However if you desire a broader experience, you can purchase the other campaign as DLC for a discounted price. To do so, you must choose the “Explore Paths” option, which is the bottom-left option in the main menu (before loading a save file). This same option also allows you to purchase the third campaign, Revelation. Once you own more than one campaign, during the “Branch of Fate” in Chapter 6, you will be able to select which campaign you wish to play, from the ones you own. 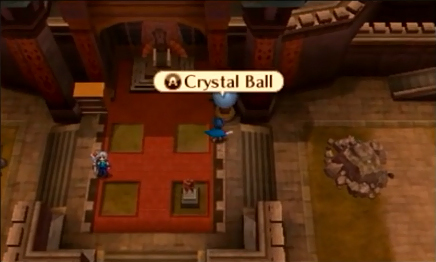 Bonuses: Those who own multiple campaigns can receive item presents by interacting with the Crystal Ball in My Castle and going to the “Bonuses” option. Of note, you can redeem two Dread Scrolls (for the Dread Fighter class) when you own two or more campaigns and two Ebon Wings (for the Dark Falcon class) when you own three campaigns. Besides full-length campaigns, you can enjoy bite-size maps similar to Awakening’s DLC maps. When they are available, you can access them via the “Dragon’s Gate” on the world map (available upon completion of Chapter 6). To play your maps, pick the first option “Play DLC”. If you want to purchase maps, pick the second option “Purchase DLC” and then the top option “Purchase DLC”. Map Pack 1: You can purchase a pack containing the following twelve DLC for 17.99 USD or 22.49 CAD. Keep in mind that even if you pay for all of the DLC upfront, you can only play the DLC as they’re released. Map Pack 2: You can purchase a pack containing the following seven DLC for 7.99 USD or 11.29 CAD. Keep in mind that even if you pay for all of the DLC upfront, you can only play the DLC as they’re released.